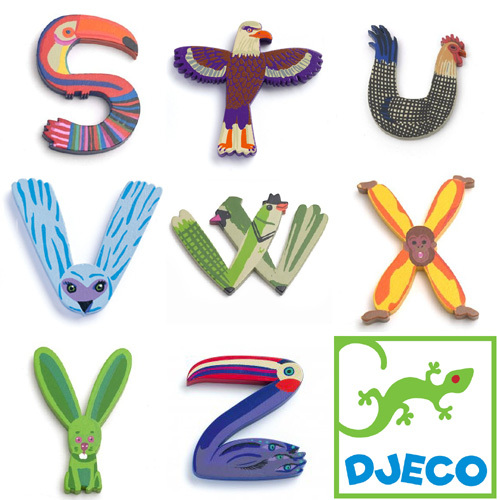 This gorgeous collection of Djeco Wooden Animal Letters (Les Animaux) are fun, whimsical and unusual. 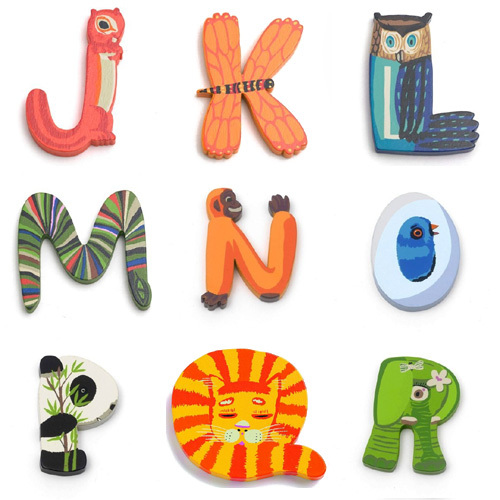 These retro styled letters are ideal to write a message on a nursery wall or arrange them in a row to spell your child's name on a door. 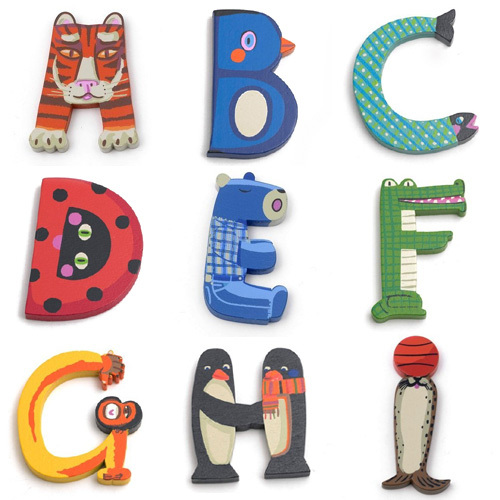 These delightful hand finished wooden letters are colored with vibrant colors and beautiful detailing. Each letter measures approximately 55mm(H) x 6mm(D),the width varies. You can find them all here. To see more of their products I blogged previously click here. 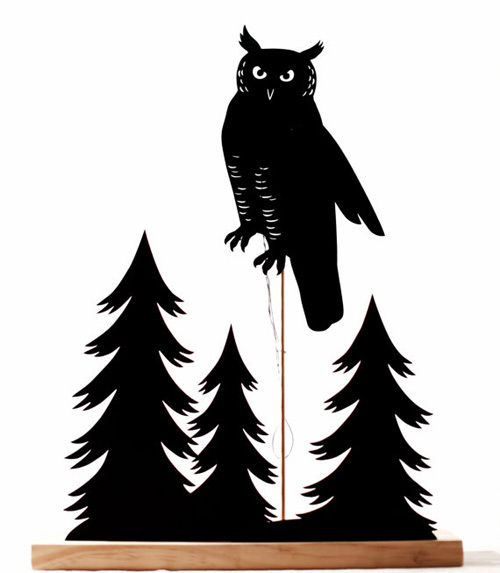 These adorable Dollhouse Hoot flats feature an embroidered, big eyed owl across the pointed toe. These vegan friendly suede flats are a must have for an owl lover! They have an easy slip-on styling and come in 4 colors - black, emerald, beige and red. No matter what color do you pick, it'll will have people complimenting your quirky fashion style. You can find and order them from here. 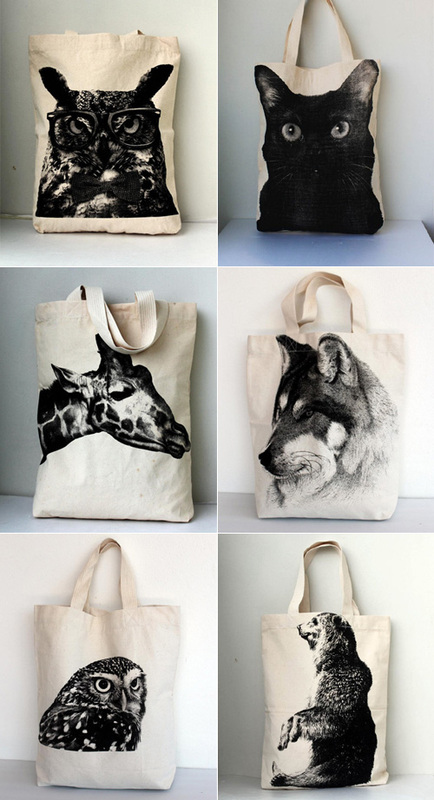 I am loving these bold animal graphics bags. 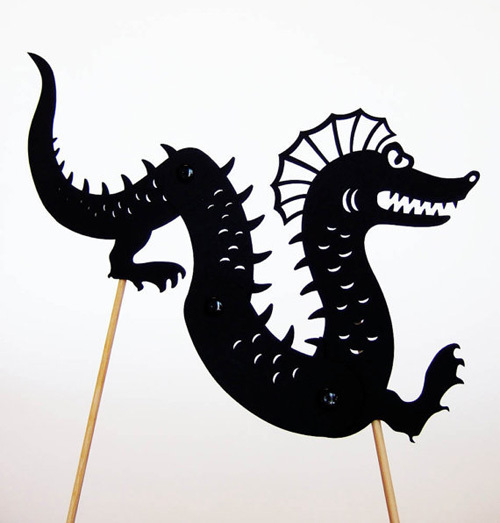 You can find these designs (and many more) here starting at $19.99. 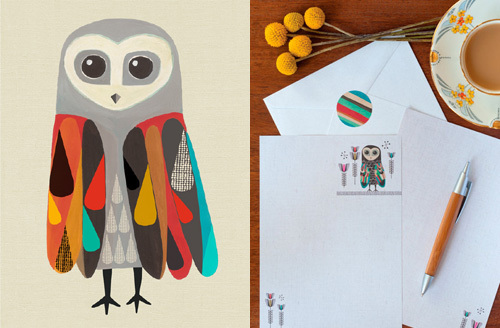 The Lesser Sooty Owl gorgeous writing set is designed by Australian designers Inaluxe, previously blogged here. 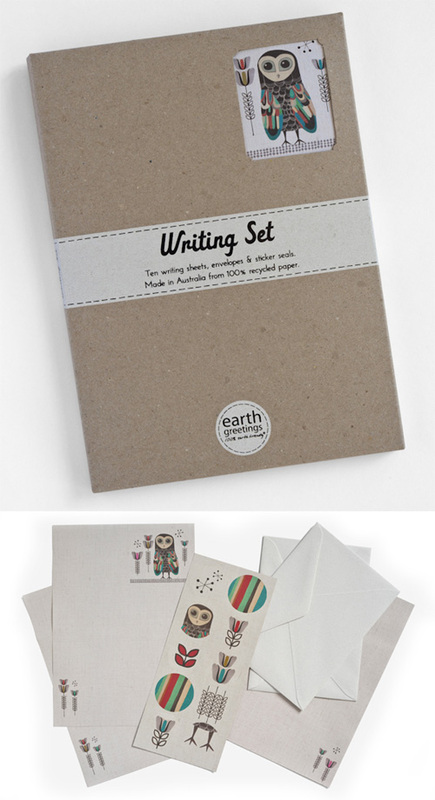 The set contains 10 double-sided sheets with envelopes both made from 100% post-consumer recycled paper, a sheet of matching sticker seals packed in a lovely plastic free gift box. It'll make a great eco-friendly gift! Available for purchase here and here. 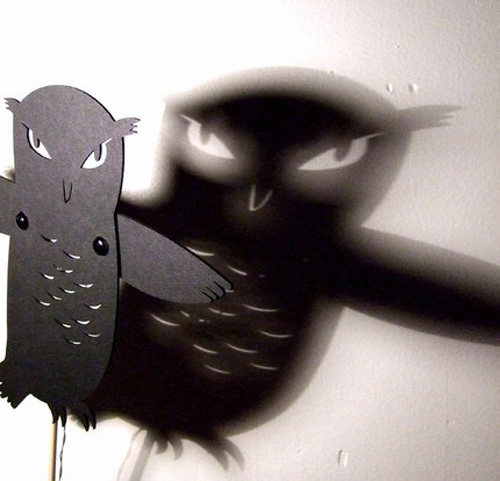 Chicago artist Andrea Everman makes laser cut shadow puppets based on her whimsical ink drawings. 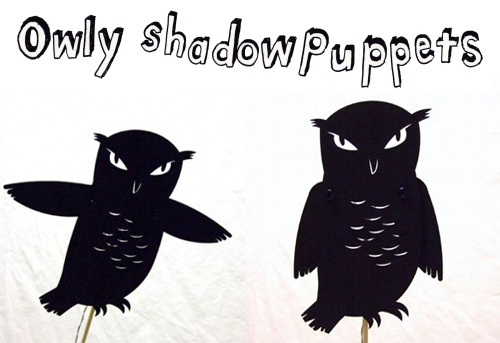 Visit her online store Owly Shadow Puppets for handmade paper puppets of mermaid, seamonster, T Rex and owls with wings that move up and down. 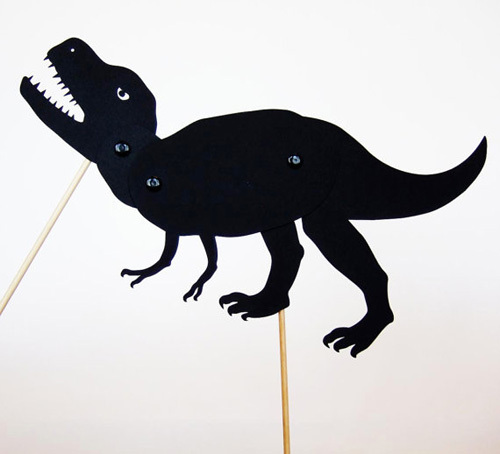 These will be perfect for a fun evening for young performers with creative imagination! 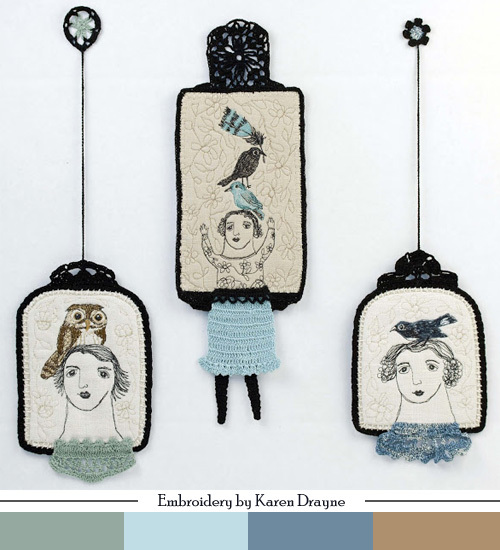 New beautiful embroideries by Karen Drayne of Laventime Dreams. More of her work, blogged by me previously, can be viewed here.